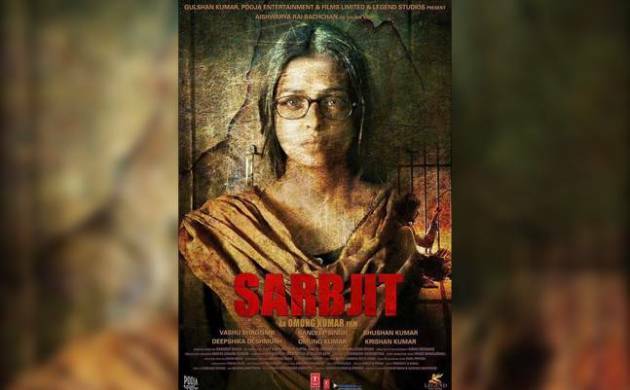 Sarbjit, a biographical drama based upon a true incident that drenched several eyes, killed many hopes and even soared Indo-Pak relations, turns out to be 'too' powerful to feel the actual pain of a family which lost its son for no real reason. Sarbjit, biographical drama based upon a true incident that drenched several eyes, killed many hopes and even soared Indo-Pak relations, turns out to be 'too' powerful to feel the actual pain of a family which lost its son for no real reason. It could have been one of the finest biographical movies ever made in Bollywood if certain things have been balanced out. The acts were rolling so good that they were actually failing to compliment the powerful script. This would be wrong to say they were doing injustice but Aishwarya's loud expressions were pushing the film more towards the tag "melodrama". For instance Randeep Hooda as Sarbjit came up brilliant in terms of balanced act. He touched perfection every time camera rolled over him, which was not the case with Aishwarya as Dalbir; and the blame goes to director here. Omung Kumar, man behind movies like 'Mary Kom', 'Ishk Vishq' and 'Waqt', knows exactly how to play with emotions and transmit thoughts to audiences. With Sarbjit he tries to redefine his talent. For instance "Tung Lak" could have been an ordinary Punjabi song to compliment the script, but he used his skills and made it a number to introduce the real depth of Sarbjit's character and his family. Without even saying a word, he injects the feeling of innocence that the family clasp with them. Even with such a talent it is nothing less than a challenge to keep audiences connected with screens for 131 minutes with a story that is not even a mystery. There comes the role of actors. Starting with best performer Randeep Hooda, he owns the screen every time he is served to the audiences. Aishwarya Rai also does a good job only if one has a courage to ignore several occasions where she actually overdo for the character. Richa Chadda and Darshan Kumaar have acted well for their respective ones. An attempt has also been made to push in real incidents like Mumbai terror attack, Parliament attack and dosti bus. But, the apt utilisation of all remained missing. Then there is also a satire to show people are not bad on both sides of the border; it was too flat that none of the emotion even tried to get tickled from it. In terms of sets used, it seems like a compromised drama. Cinematographer Kiran Deohans saved a lot for producers as the whole film has been wrapped under very little location coverage. Every film has its own ups and downs. While sets remained a setback for the film, its songs were nothing less than a compliment to the script. "Salamat" and "Meherbaan" are my personal favourites as they virtually creates a magical environment and let audiences feel good about the film movie that is dark and brutal otherwise. Final verdict: Sarbjit is a sheer melodramatic take on a real incident and can be watched only if you want to know the deep roots of the whole event that made India lose its son in neighbour land for no crime. Randeep Hooda is the man to watch out for.